A Little Bit of This and a Little Bit of That: Weekly Challenge #82: UMT v. VII "Brayd"
What a lovely card. I would love to receive it. I just wish I could be 40 again, lol. What a lovely brayded heart and it makes a great birthday card! You made a very beatiful tile here! Nice to receive a card like this. This is a great card! Lovely! I had to smile for I was thinking of something like this for a Wedding Anniversary card. 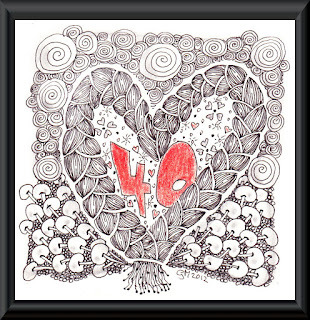 I think the possibilities of Zentangle with cardmaking is quite intriguing. I agree with you Paula. I made a few more cards for special occasions. You can find them under Zentangle. Leuk deze zentangle. Ook de omgeving van de vlecht is mooi gemaakt! 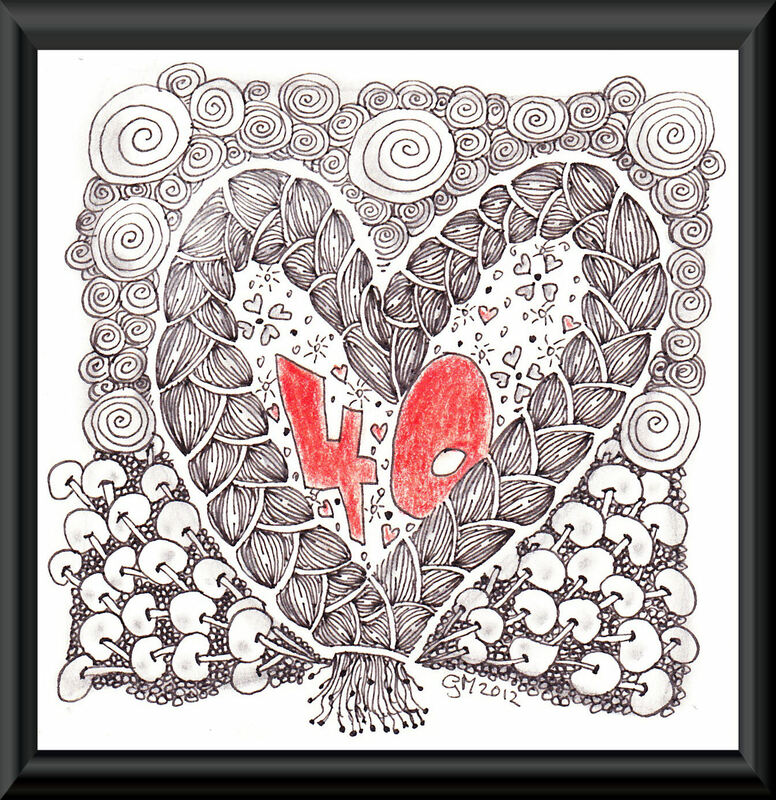 Oh such a snazzy 40th card!